Office Depot: Slider Pencil Boxes $0.10 + More! 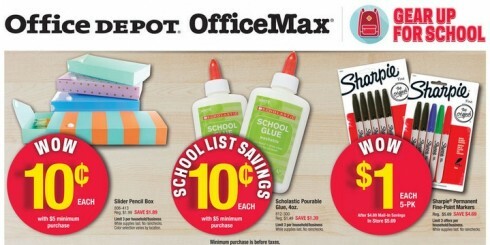 This week at Office Depot you’ll find Slider Pencil Boxes on sale for $0.10 and some more great back-to-school deals too! Remember the Penny Deals are valid only with a $5 minimum purchase. Previous Post: « Tribe Necklaces $11.99 + FREE Shipping!